Bernina is a Switzerland-based manufacturer of top-quality, innovative home sewing equipment. One of the most versatile presser feet offered by Bernina is the Triple Sole Walking Foot #50. This foot allows greater control over multiple layers of fabric being sewn at the same time. The foot comes with a closed sole, open sole and center guide sole for sewing on different thicknesses and types of fabric. For example, the open sole aids in visibility while quilting, and the closed sole aids in matching plaid fabrics. Remove the current presser foot by pressing the release button on the back of the needle housing assembly. Lower the foot out of place and put the foot away until needed for another project. Attach the sole needed for the project. Attach one or both seam guides if desired. Slide the Triple Sole Walking Foot sideways under the needle assembly and onto the cone in a back to front motion. As you raise the foot onto the cone, turn it towards the front and place the U-shaped arm over the needle bar. Push the presser foot up as far as it will go, and then press the clamp in place to hold the foot on. Place your project under the needle housing, and lower the presser foot using the lever at the back of the machine. Remove any pins that are in line with the sewing you are about to complete. Hitting a pin with the needle can cause the needle to break and damage the project or the machine, or cause personal injuries. 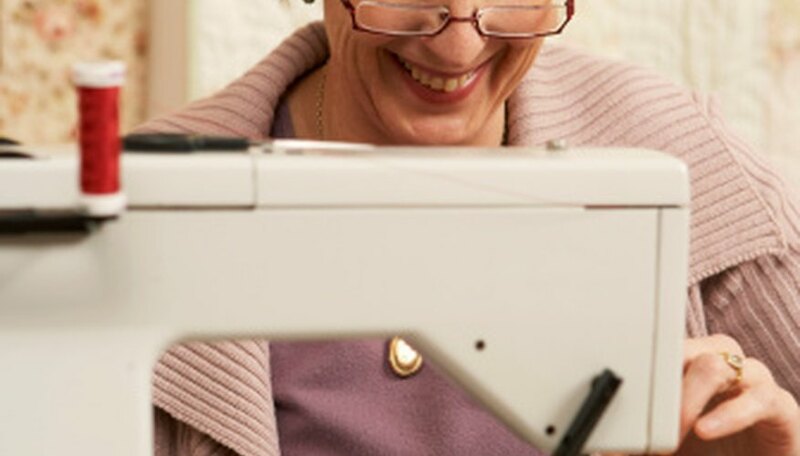 Begin sewing at a slow and steady pace, increasing speed as you become comfortable with using the foot. Guide your project under the foot, being careful not to push. Pushing the fabric will result in uneven stitches and could cause bunching of the thread on the back of the project or cause thread breakage. Continue sewing until the project is complete.